PENCILLER: Patrick Gleason. Cover by Doug Mahnke. There’s a page in Superman #6 that I absolutely adore (shown below). It’s a callback to the cover of the original Superman #6 from 1939, with our hero striking the classic hands-on-hips pose. We’ve even got the American flag in the background for good measure. I will neither confirm nor deny swooning upon seeing that page for the first time. For yours truly, the best Superman writers and artists don’t shy away from the character’s status as a symbol for hope and idealism. They don’t try to modernize him, or God forbid darken him. They embrace who and what he is, which naturally leads to good storytelling. That’s mostly what we’ve gotten from Peter Tomasi, Patrick Gleason, and team on Superman these last few months. No more stupid armor, no more bare-knuckle fighting. Just Superman doing what Superman does. We didn’t need to give him a son to create good stories. It just so happens that parenting brings out the best in Big Blue. Superman continues to battle the Eradicator in a bunker on the moon, as Lois and Jon look on. 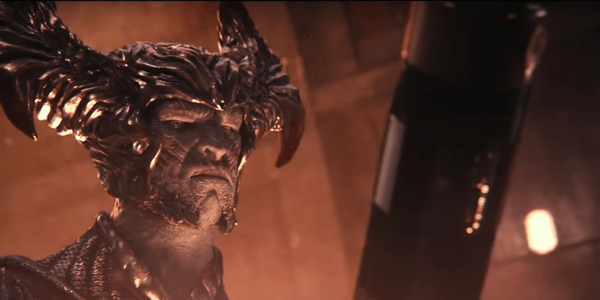 The Eradicator, who holds the life force of so many deceased Kryptonians within him, is determined to kill the half-human Jon and “purify” the House of El. But as the Man of Steel tirelessly fights to save his family, Earth may come to a shocking realization: One way or another, Superman is back. The Superman books are in a complex spot right now. 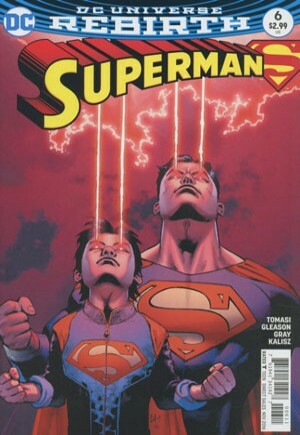 We’ve got the pre-New 52 Superman, Lois Lane, and their son Jon as our lead characters in Superman. 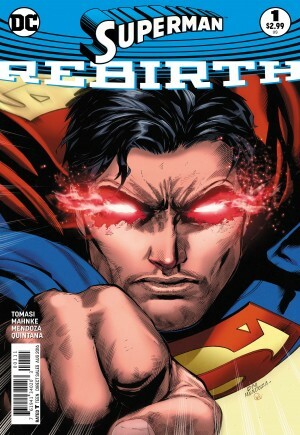 Then we’ve got a Clark Kent doppleganger in Action Comics, and the New 52 Lois over in Superwoman. But as complex as things have become, most of the books have surged upward in terms of quality. Look no further than this book as an example. This is the best Superman has been in at least five years. 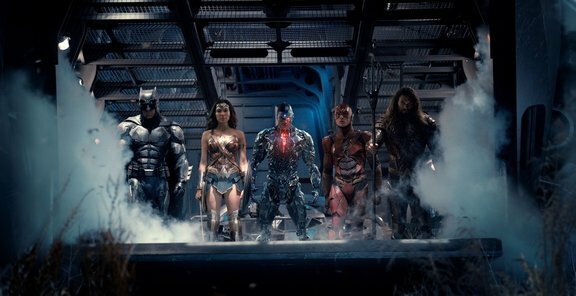 We’ve heard a lot of talk lately about DC restoring hope and positivity to its books and movies. 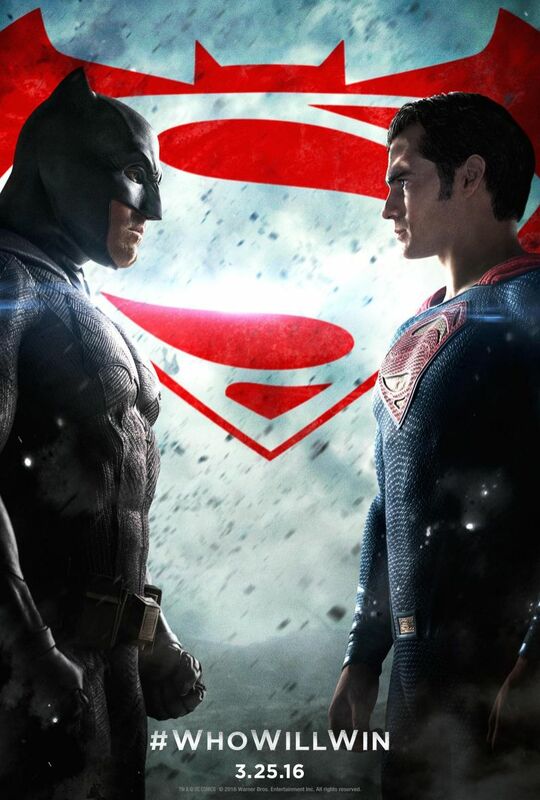 The DC Universe’s first stop for both those things should be Superman. For some, that’s a turn off, which is fair enough. But if you’re looking for the brooding, isolated superhero, they’ve got a guy for that. Actually, they’ve got a few guys for that. So lets stop trying to make this character something he’s not. These attempts to darken Superman always end up fizzling out anyway. I understand the notion of comics not being for kids anymore. But I’d be curious to see what would happen if I gave these Superman issues to a young reader. 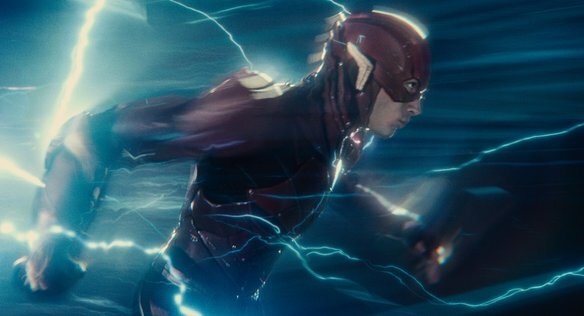 If they kept coming back, would it be for Superman? Would it be for Jon? Perhaps both? Either way, Jon isn’t going anywhere anytime soon. As indicated by the end of this issue, he’ll have an even bigger role going forward. And for the time being at least, that’s a good thing. We bordered on the edge of Over-Baturation in this story with the climactic battle taking place in Batman’s moon bunker (Yeah, he has one. Don’t you? ), and the inclusion of the Hellbat, a carry over from Tomasi and Gleason’s run on Batman & Robin. But I’m giving this book a pass, as we see very little of Batman himself. 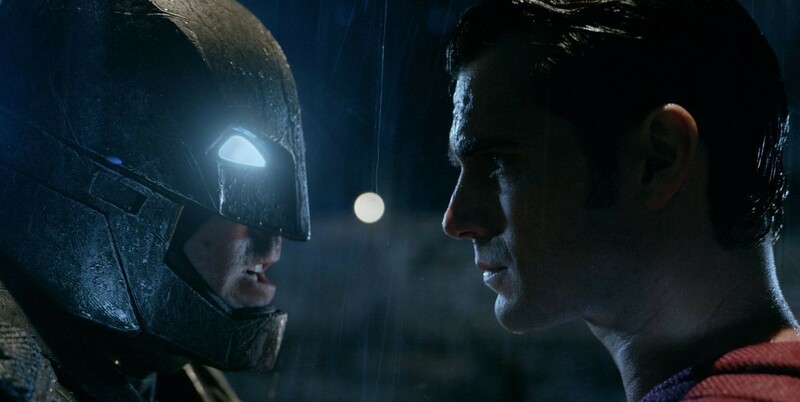 It’s even established that Superman followed the Dark Knight without him knowing, which was a nice touch. Also, Lois using the Hellcat to protect Jon managed to be pretty cool. This is an exciting time to be a Superman fan. 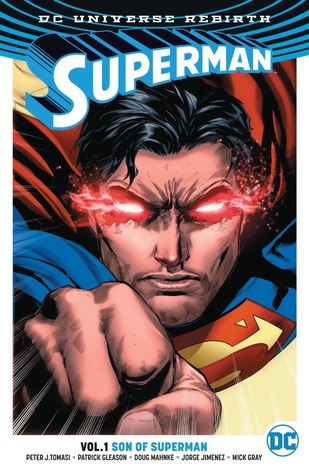 Given the relaunch, Superman has more readers now than in quite awhile, and DC is making the most of those new eyes. Quite honestly, there’s no one I’d rather see on this title right now than Tomasi, Gleason, and their crew. I’m hopeful they’re only beginning to take flight. This entry was posted in Comic Books/Graphic Novels and tagged Batman, comic book reviews, comic books, DC Comics, DC Universe, DC Universe Rebirth, Doug Mahnke, Eradicator, Jon Kent, Krypton, Lois Lane, Mick Gray, Over-Baturation, Patrick Gleason, Patrick Gleason Superman, Peter Tomasi, Rob Siebert, single issue reviews, Superboy, superhero comics, superheroes, Superman, Superman #6 (1939), Superman #6 (2016) on 09/12/2016 by primaryignition. 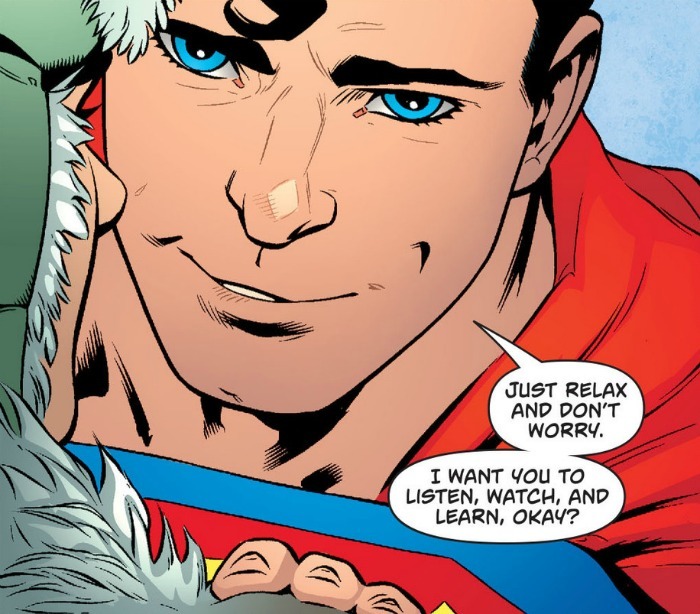 I’m aware this series doesn’t mark the first time Superman has smiled in the last five years. But it sure feels like it. Peter Tomasi and Patrick Gleason’s effort to inject optimism back into the character makes for a refreshing departure from recent attempts to darken him. Truth, justice, hope. Dare I say, love? These are the things we need from Superman in 2016. The Superman of the pre-New 52 Earth has finally put the cape on again in this new universe. At the same time, his young son Jon is discovering super powers of his own. When we open this issue, the Man of Steel has taken his son to observe him on a routine rescue. But when things go awry, Jon is pulled into the action. Will this new “Superboy” see his run tragically cut short? In working on Superman, Peter Tomasi has two tremendous advantages over many of his peers. First, he’s inherently good at writing heart-felt stories that highlight the humanity of these iconic, often god-like heroes. As evidence, I direct you to yet another of father and son story by he and Gleason, Batman & Robin: Born to Kill. What so many people either don’t understand or don’t appreciate about Superman is the importance of what he stands for. He’s not a boy scout. He’s not a sell out. He’s not an outdated product of a bygone era. It’s not as simple as that. He’s a man with a set of principles, and he acts on those principles in the hopes of making the world a better place. 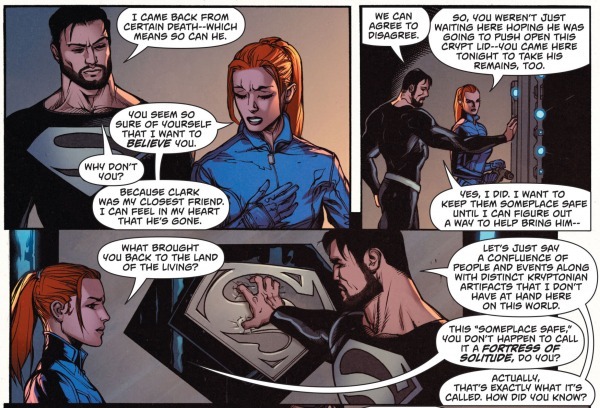 Tomasi understands all of this, and knows it’s critical that Clark and Lois raise Jon with these same principles. As Clark himself says in this issue, Jon may be need to wear the iconic S symbol sooner than later. It’s very fitting that we’ve re-emphazied these elements in a story that has brought back a previous version of Clark. In a very real sense, this feels like Superman is back. From an artistic stance, the colors are on point. In particular, John Kalisz’s reds and oranges really pop. 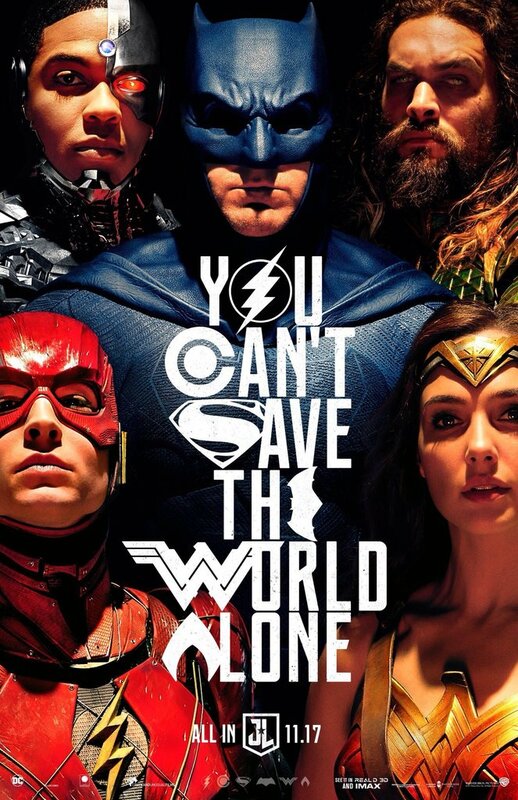 Superman’s cape looks fantastic, which makes me miss his red boots even more. There’s also a sequence where Jon is trying to hone his heat vision, and the scene becomes engulfed in an intense red that really brings you into the moment. In interviews, I seem to recall Tomasi and Gleason talking about being fathers themselves. In Gleason’s case, that would explain why much of the body language in Superman, as well as Batman & Robin, seems very natural. Not always real, per se. But natural within the context of this world. The panel to the right is my favorite in the issue. That face says a lot. We’ve got patience, compassion, reassurance, protectiveness, and of course, love. Where has this Superman been? Obviously this new Superman series is meant to be a starting point for new readers. But I maintain that the replacement of the New 52 Superman with the post-Crisis Superman from another universe makes things confusing for new readers. Especially once you get to the end of the issue, where a villain from the post-Crisis era seems to resurface. Mind you, this isn’t Tomasi or Gleason’s fault. And for the record, I’m in favor of this new direction for the Superman books. But this shake-up has come at a price. Picture yourself as a newbie picking up this series. You’d have all kinds of questions about where this Superman came from, what that other universe was like, and where it went. The upside is that might entice one to buy trade paperbacks. But someone on the fence might simply drop the book. Either way, once you get past the confusion, this is good stuff. Tomasi and Gleason did about 40 issues on Batman & Robin. Obviously Gleason can’t be expected to do that many consecutive issues on a bi-weekly series. But if this team sticks with Superman for the foreseeable future, the smart bet is they’ll deliver quality comics. More often than not, that’s what they do. 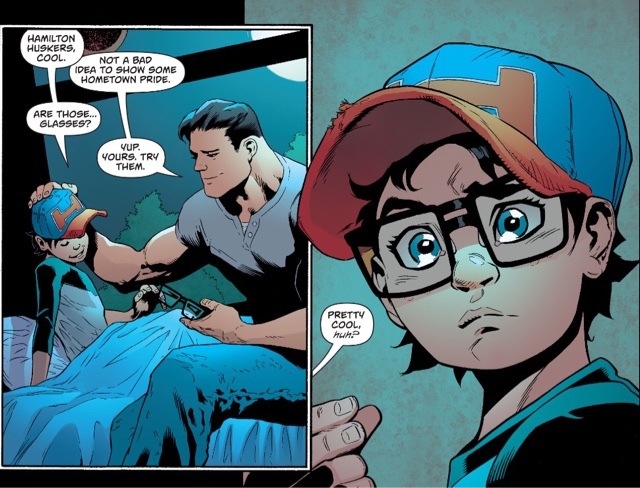 This entry was posted in Comic Books/Graphic Novels and tagged Clark Kent, comic book reviews, comic books, comics, DC Comics, DC Universe Rebirth, fatherhood, John Kalisz, Jon Kent, Jonathan Kent, Lois Lane, Mick Gray, New 52, Patrick Gleason, Patrick Gleason Superman, Peter Tomasi, Peter Tomasi Superman, single issue reviews, Superboy, superhero comics, superheroes, Superman, Superman comics, Superman costume on 07/07/2016 by primaryignition. The post-Crisis on Infinite Earths Superman was created to thin out the number of “super” characters in the DCU. The idea was to restore his status as the Last Son of Krypton. Now, more than 30 years later, DC is using this same version of Superman to do the exact opposite. With this character comes a new Superboy, and a new Superwoman. Now that’s what you call, ironic. The Superman we met when the New 52 launched is dead, having succumbed to Kryptonite poisoning. As the world mourns the loss of the Man of Steel, one man is certain he will return: Clark Kent. That is, the Clark Kent of another Earth, who has hid out on this world along with his wife and son. But Lana Lang isn’t convinced. She also has no idea there’s another Superman on her world. Thus when the two meet, emotions run high. I’d love to hear someone try to explain the new Superman status quo to a newbie. It’s putting up X-Men numbers in terms of how convoluted it is. That being said, I’m very pleased to see the old Superman back. Why he’s not allowed to have red boots in this new “Rebirth” era is beyond me. But having him back has shaken things up nicely. In this issue, Peter Tomasi and Doug Mahnke acknowledge the elephant in the room in the aftermath of the New 52 Superman’s death. They take us back to The Death of Superman, and we get Mahnke’s take on some of those iconic moments from the fight with Doomsday. Considering how many big event comics Mahnke’s fingerprints have been on in the last decade, there’s something fitting about him getting a crack at this one. 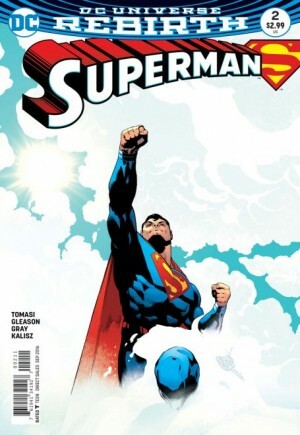 Later, we see Clark’s resurrection, and he and Lana even search for a New 52verse version of the regeneration matrix. As a longtime fan, it’s gratifying to see them go back and look at this stuff from a new perspective. I never understood why DC omitted this story from the New 52 continuity. It crossed over into pop culture, and kids who grew up in the early ’90s typically remember it. So why eliminate it? Clark has an odd line during this issue, when he tells Lana: “…two Clark Kents on two different worlds were very lucky to have Lana Langs in our lives.” They need to be careful with this kind of thing, especially now that we have an infinite multiverse again. The idea that you’ve got an infinite number of Clark Kents on different worlds, some of which might be interchangeable, seems like the kind of thing that could lead to apathy from the audience. What do we care if our main character dies, if we can simply replace him with one from another world? Mahnke’s versatility is on display here. On one hand, the flashbacks to the fight with Doomsday are very intense and high-octane. In contrast, we have a scene with Clark at the memorial that’s very somber. We also have scenes with Clark and Lana that, while they have a certain tension, are fairly quiet. But Mahnke manages to stay consistently strong throughout. With this relaunch, DC has managed to make the Superman books more interesting than they’ve been in years. At face value, at least. How ironic that death winds up being the element that freshens the Man of Steel up a little bit. But who knows? 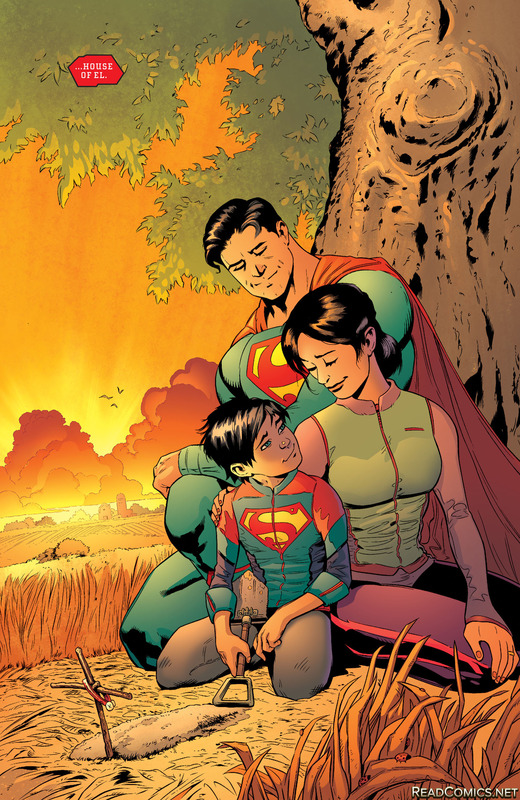 Maybe a little family time is exactly what Superman needs. Image 1 from comicvine.com. Image 2 from bleedingcool.com. 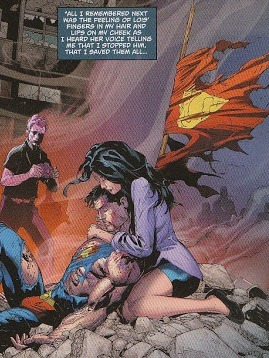 This entry was posted in Wrestling and tagged Clark Kent, comic book reviews, DC Comics, Doomsday (DC Comics), Doug Mahnke, Lana Lang, Lois Lane, New 52, Peter Tomasi, Rob Siebert, single issue reviews, superhero comics, superheroes, Superman, Superman costume, Superman: Rebirth #1 (2016), The Death of Superman on 06/06/2016 by primaryignition.